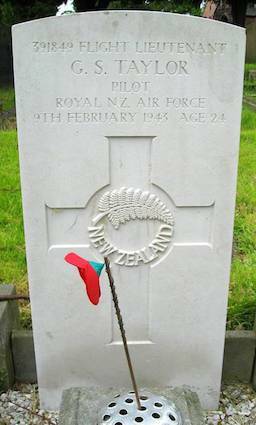 In the churchyard of St Mary’s Church, Weaverham is buried a New Zealand lad in a WW2 Commonwealth war grave. 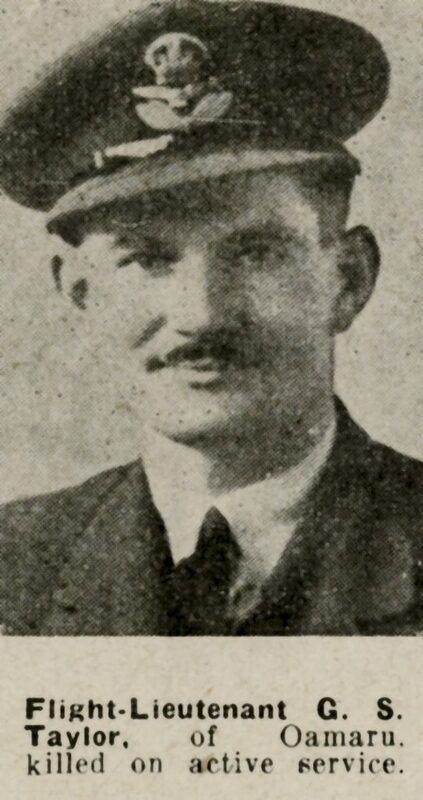 This was Ft Lt George Stringer Taylor of the Royal New Zealand Air Force, 96 Squadron, RAF NZ 391849 who married Betty (nee McMean) nine weeks before his untimely death. Betty was a Weaverham girl although official records for George say she was from Northwich (possibly because Weaverham was a small village at the time and Northwich was the nearest town). George was the son of William John and Elizabeth of Oamaru, North Otago, South Island, New Zealand and he was born on 20 July 1918. George was a very experienced pilot with 762 logged flying hours who had completed 68 operations and had been awarded a medal for his part in the Battle of Britain. He took off in a Beaufighter VIF from RAF Bicester in Oxfordshire on a cross country solo training flight at approximately 18.10 hours on Tuesday 9 February 1943. Shortly after taking off the starboard engine failed so he decided to make an emergency landing in the closest field. During the turn to the airfield the aircraft stalled and crashed. He was admitted to Horton General Hospital, Banbury but died of his injuries later the same evening. He was 24.